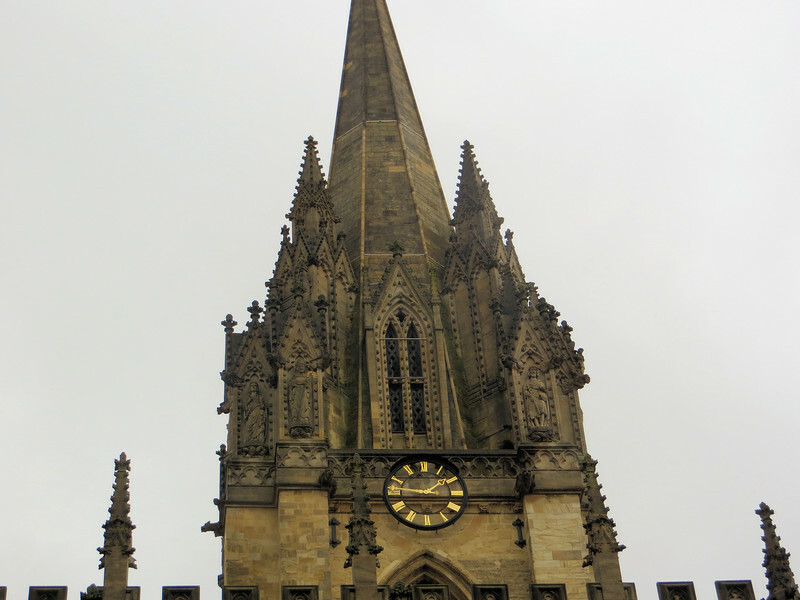 The distinctive spire of St. Mary the Virgin. This church stands next to the Radcliffe Camera. It can be considered the original hub of the University, for the first university meetings and ceremonies were held here, and the administrative archives were stored here. The trials of the Oxford Martyrs were held in this church. The steeple dates from the early 14th century and features a BUNCH of crocketed pinnacles (remember those?) ornamented with statues of saints.